In an attempt to get a vote of confidence from Corporate America for Google+, Coca-Cola is aiming to launch a Hangout on the network next week. The Hangout is scheduled for February 16 at 2 p.m. EST. The hangout will feature company’s archivists Ted Ryan and Jamal Booker who will take questions from the Coca-Cola Archives. It is worth mentioning here that the Archives have been featured on CNBC and Bloomberg TV and also in Coke’s Virtual Online Museum. However, it is not open to the public and any such event has not yet hosted by the company. According to Ryan, the talk will be ranged from 30 to 45 minutes and will be based on Olympics memorabilia and a document showing Coca-Cola’s original patent award in 1887. However, the entire talk won’t be scripted and majority of the responses will be based on the questions imposed by participants. The Hangout would be hosted on Coca-Cola’s Google+ Page and also through its Coca-Cola Archives Facebook Page and Twitter feed. Like all Google+ Hangouts, only nine feeds at a time can be seen, while the rest of the participants watch the action for that time. It was back in November when the search giant opened Google+ to brand pages. Over 3.5 million users have added brands in their circles since that time, researcher Simply Measured stated. Interestingly, Coke, at the moment, has the sixth largest brand page, considering ‘circles’, which are said to be around 326,000, according to estimates. These numbers are seemed to be small enough when compared to Coke’s Facebook fan base, which is around 39 million. 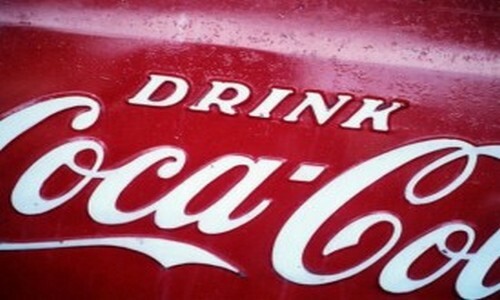 Director of Worldwide Interactive Marketing for Coca-Cola, Michael Donnelly says that he is hopeful about Google+ growth. He added, “From a social perspective, we want to be where our consumers are.” He further adds that we are considering other ideas for Hangouts including analyst talks with investor relations and panels with teens. It has been claimed by Cadbury UK that it was the first brand to host Hangout on February 9. However, lots of other brands including Dell and Macy’s follow the suit. The US President Obama also held a Hangout on Google+.